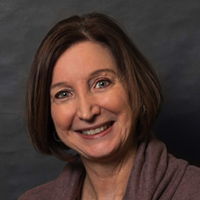 Sharon Ratiner is a licensed and certified speech-language pathologist and certified orofacial myologist with 30 years of experience treating the adult and pediatric population. Ms. Ratiner is a member of the American Speech, Language, Hearing Association (ASHA), the New Jersey Speech, Language, Hearing Association (NJSHA), The American Academy of Private Practice in Speech Pathology and Audiology (AAPPSPA) and the International Association of Orofacial Myology (IAOM). Ms. Ratiner has also been named "NJ's Favorite Kids Doc" by NJ Family Magazine in 2010, 2011,2013, 2014, 2015, 2016, 2017 & 2018. Lynn Balewicz has been a practicing speech-language pathologist since 1985. She is licensed in the state of New Jersey and has been issued a Certificate of Clinical Competence (CCC) from the American Speech, Language, Hearing Association (ASHA). She is a member of the New Jersey Speech, Language, Hearing Association (NJSHA) and the American Speech, Language, Hearing Association (ASHA). 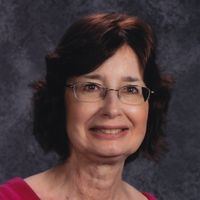 Rosalie Abrams has been working as a speech-language pathologist for over 30 years. Her experience encompasses the public schools, private practice and centers for the developmentally disabled. 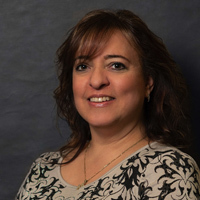 Rosalie is licensed in the State of New Jersey and was issued the Certificate of Clinical Competence (CCC) from the American Speech, Language, Hearing Association (ASHA). She is a member of the American Speech, Language, Hearing Association and the New Jersey Speech, Language, Hearing Association (NJSHA). 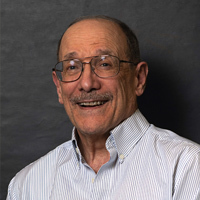 John Ricciardi's experience includes working with the developmentally disabled, pediatric/early intervention as well as adult speech and swallowing disorders. John has been a certified Speech Language Pathologist since 1980. He is licensed by the state of New Jersey and holds the Certificate of Clinical Competence (CCC) from the American Speech, Language and Hearing Association (ASHA). Liza Palestrini has been an Office Administrator in the speech and language field for the over 15 years. She has a degree from Middlesex County College and attended Rutgers University. Her expertise in the field, her compassionate manner and professionalism make her a valuable liaison between our clients and staff.